Running a diesel vehicle on vegetable oil is a great idea from both an environmental and financial perspective, but there's an even greener option available if instead of using shop-bought, fresh, virgin oil, you use Waste Vegetable Oil (WVO) to fuel your engine. 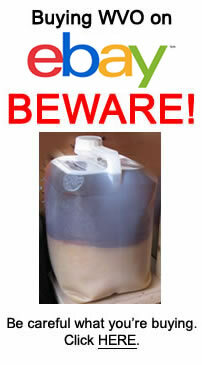 Waste Vegetable Oil (WVO) is second hand, already used veg oil that is no longer suitable for its original purpose. It's a waste product produced within the catering industry. Wherever deep frying takes place on a commercial basis, you're likely to find used veg oil, such as pubs, restaurants, hotels, chip shops, etc. Once they've cooked with it a few times, the oil becomes dirty and tainted, so fresh oil is required. The old oil then becomes a waste product - a nuisance. 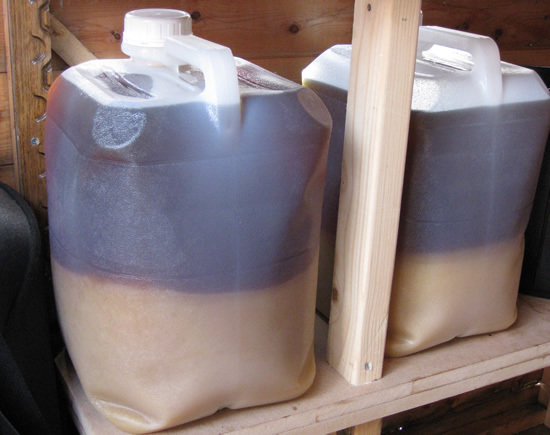 From my personal experience, I've found that larger organisations (such as Hotel chains, Brewery Owned Pubs, etc) already have an infrastructure in place to deal with their WVO, so obtaining used veg oil from these places is difficult. However, smaller establishments don't have such infrastructures (independent pubs, local restaurants, family run hotels, etc). For these people WVO is usually something they are keen to get rid of. In days of old, such companies would have paid people to take away their WVO. With the advent of Biodiesel, etc, it's become more common for WVO to be given away. In fact more commonly it seems that you now have to buy WVO, which is great news for the businesses and bad news for the thrifty green motorist. Mechanical Filtration : This tends to involve a number of pumps, storage tanks and filters. 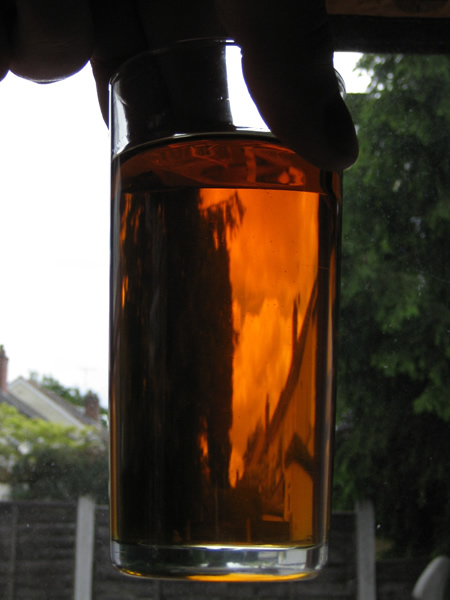 Oil is driven through varying filters usually to a finished level of 5 microns. Settling : Here WVO is roughly filtered (usually to around 100 microns) before being left to settle for a few weeks. As the oil settles, the heavy fats and water fall to the bottom of the tank and some light impurities rise to the surface. The cleaner oil is then usually filtered through socks to 5 microns. Personally I favour the Settling Method. This is certainly much less costly than buying several pumps and filter media, but it does take a while. Once the WVO has been cleaned, it's ready to use. It may not be the best thing to cook your chips in, but it runs a diesel engine just as well as fresh virgin oil. For me it's a fantastic example of recycling - taking a waste product and making it useful.